Foraging nectar from a native Monarda fistulosa flower. 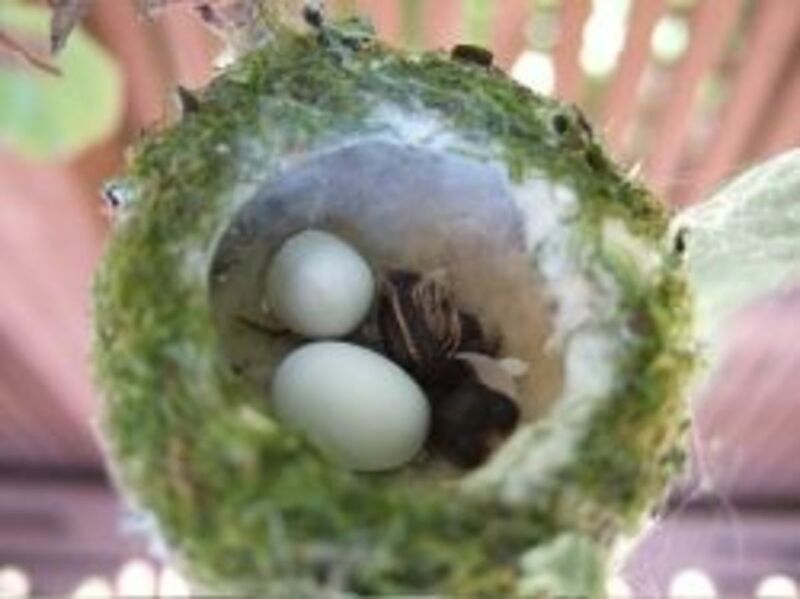 That looks like a baby hummingbird! One may think there is a tiny baby hummingbird flying among the flowers, but more than likely it's a Clearwing Hummingbird Moth. This pollinator feeds during the day and it's shape, coloration and scaleless wings give it the appearance of a small hummingbird. There are two common varieties of this attractive and interesting member of the Sphinx moth family. We’ll also explore a few other species of Sphinx moths. Pickerel weed is a versatile native plant that grows in wet areas. 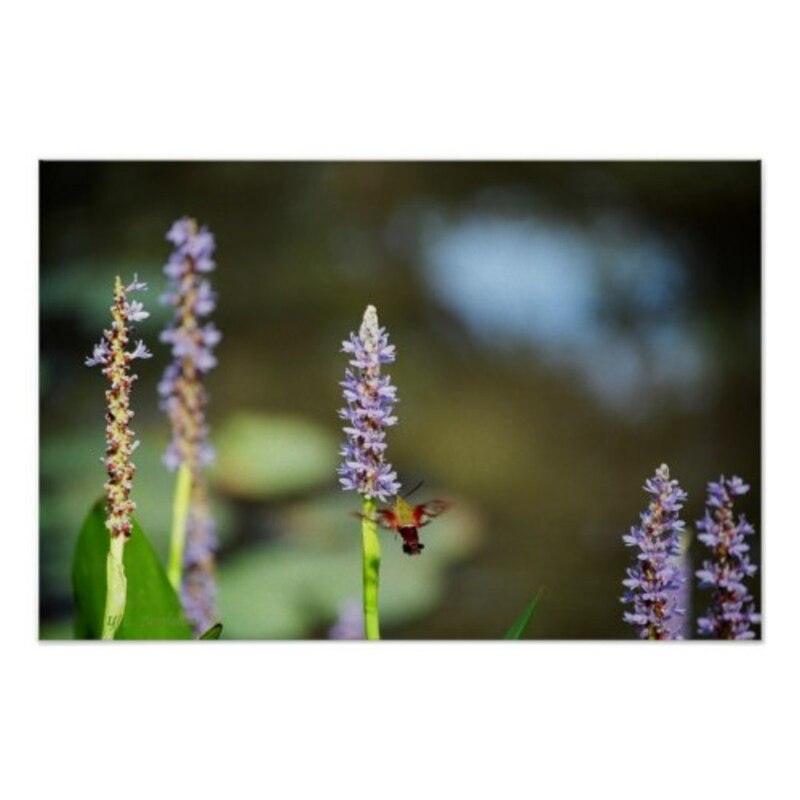 It is a favorite of many pollinators including hummingbirds, butterflies, bees and moths. 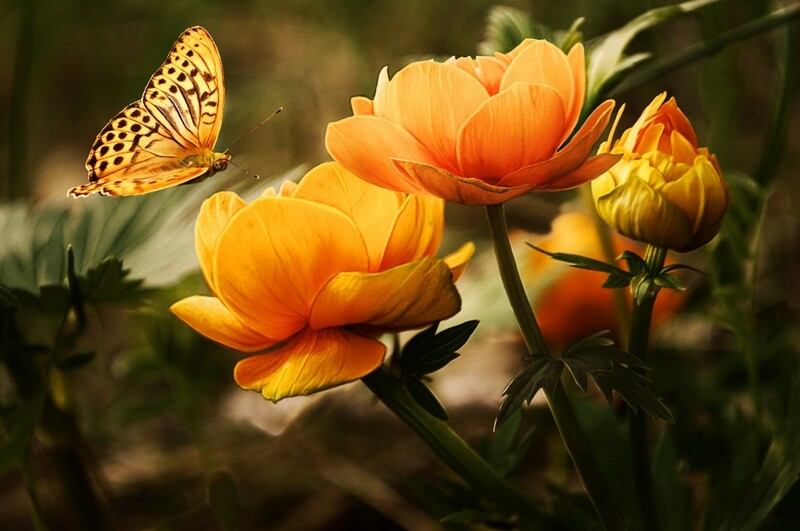 Moths are Insects and belong to the Order Lepidoptera, which includes both Moths and Butterflies. There are about 100 families of moths with hundreds of genera (plural of genus) and over 150,000 species. They live in all parts of the world, except in the very cold mountaintops and polar regions. Most Moths live in the tropics. Moths usually have less colorful wings. The antennas of moths are feathery or threadlike. Most Moths fly at night. One exception to this rule is the Clearwing Hummingbird Moth. 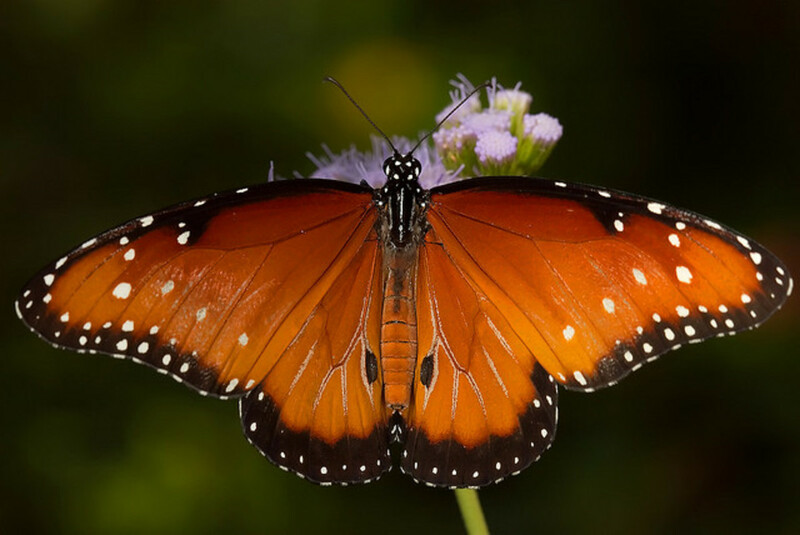 Both insects go through a metamorphosis where the caterpillars change completely before becoming adults. The two types of North American Hummingbird Moths are very hard to tell apart. 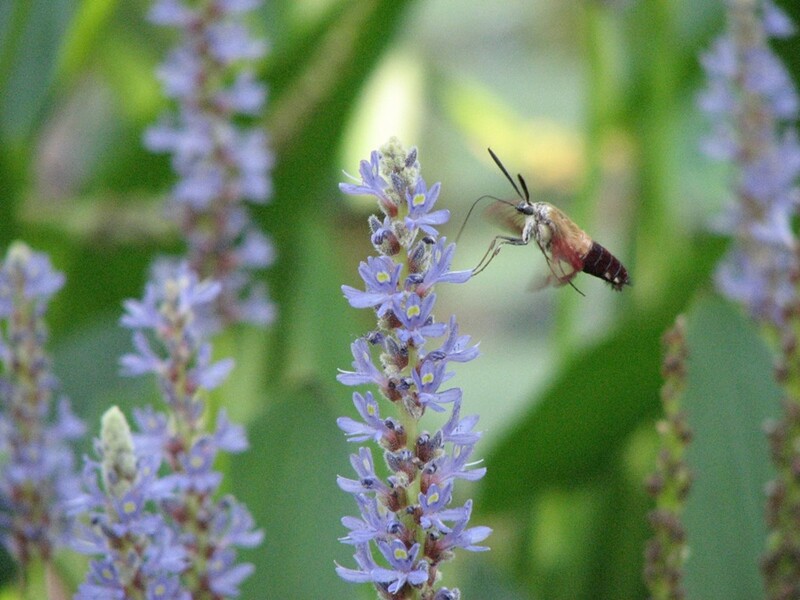 One type, the Hummingbird Clearwing Moth (Hemaris thysbe), resembles a small hummingbird. The other which is called the Snowberry Clearwing Moth (Hemaris diffinis) actually looks more like a large bumblebee, than a hummingbird. The ranges of both species overlap quite a bit, so you can have both in a given location. Both species have fast moving, scaleless wings and furry bodies with large abdomens and coloration similar to that of a hummingbird. The scales on the wings are actually rubbed off in flight soon after it emerges from the pupa. 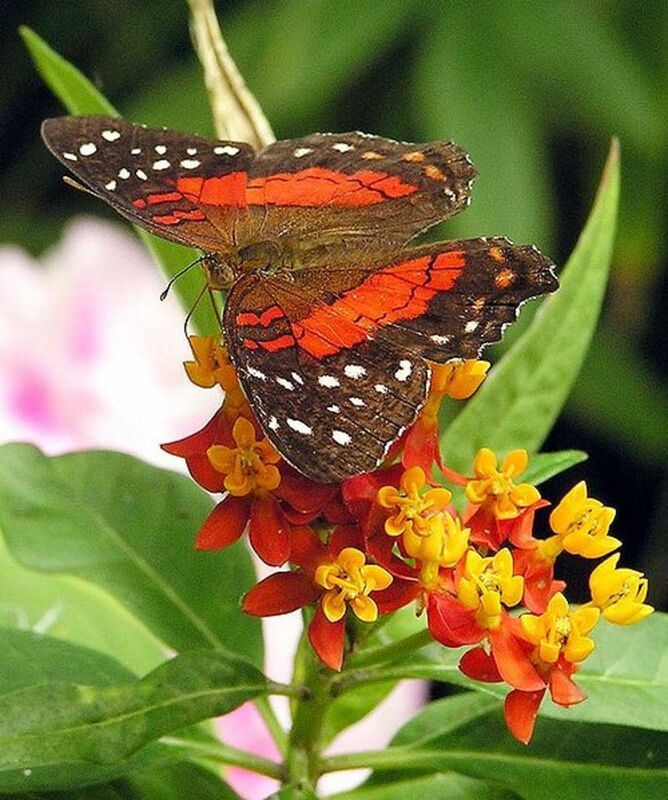 Like other butterflies and moths, its mouth part is a straw-like siphoning, feeding tube called a proboscis. But, unlike most other moths, the Hummingbird Moths fly and feed during daylight hours in open woodlands, fields, gardens and backyards between the months of March and September. Pickerel weed is a favorite nectar plant. The Hummingbird Clearwing Moth - Hemaris thysbe belongs to the order Lepidoptera / Suborder Macrolepidoptera / Superfamily Sphingoidea / Family Sphingidae, common names include hawk moths, hornworms or sphinx moths. 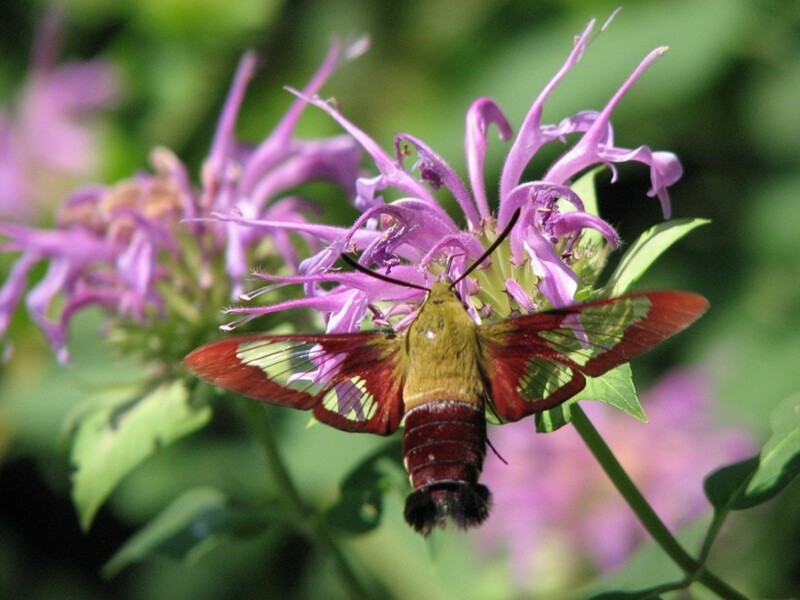 The species Hemaris thysbe (Fabricius) is also called common clearwing, hummingbird moth or sphinx colibri. Its range goes as far north as Alaska, east to Maine and Newfoundland and south to Florida and Texas. This species is most commonly seen in Southeastern Louisiana where we live. 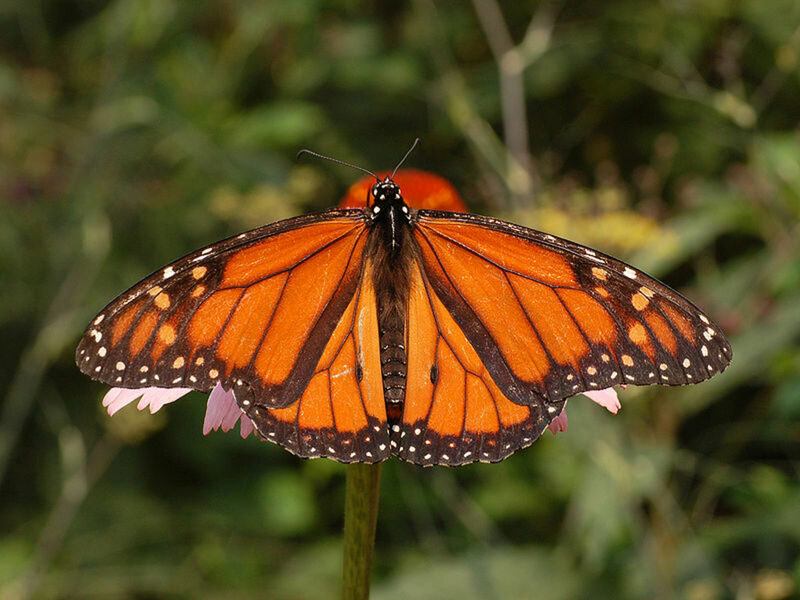 Adults are reddish-brown and green and have a wingspan of about two inches. Vervain, a tropical plant, is another favorite. The Snowberry Clearwing Moth - Hemaris diffinis is in the order Lepidoptera and family Sphingidae. It is about 1.25 to 2 inches. It actually looks more like a large bumblebee than a hummingbird. The name probably comes from the humming sound its wings make that is similar to that of a hummingbird. Another difference from the Hummingbird Clearwing is that the Snowberry's abdomen has yellow and black segments like a bumblebee. In its larval stage it eats plants such as honeysuckle, viburnum, hawthorn, snowberry, cherry, and plum. 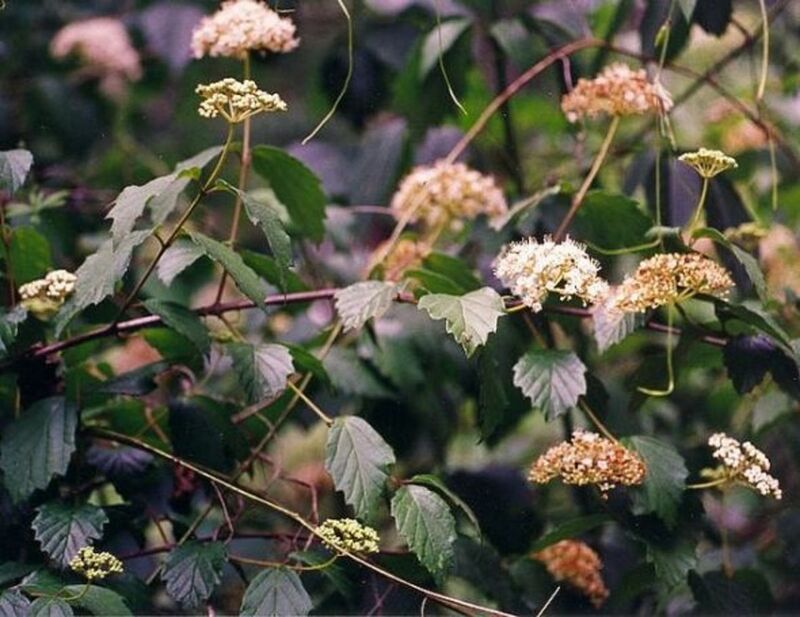 Arrow Wood Viburnum is a larval host plant. 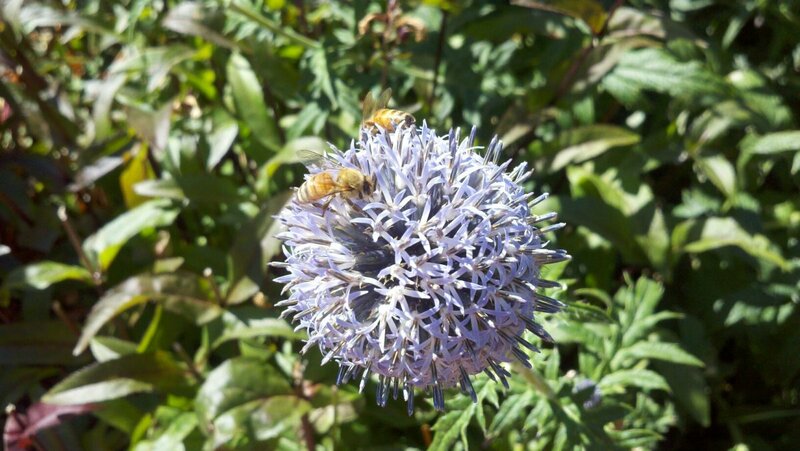 Its blooms are foraged by a variety of other pollinators. In the northern part of their range, they have at least 2 broods of young, but in Louisiana there are six broods, occurring every thirty days from March through August. One pale green egg is deposited on the underside of a leaf and the small brownish larvae stay hidden on the leaf vein. When mature, the large green larvae pupate in thin walled cocoons on the ground under leaf litter. 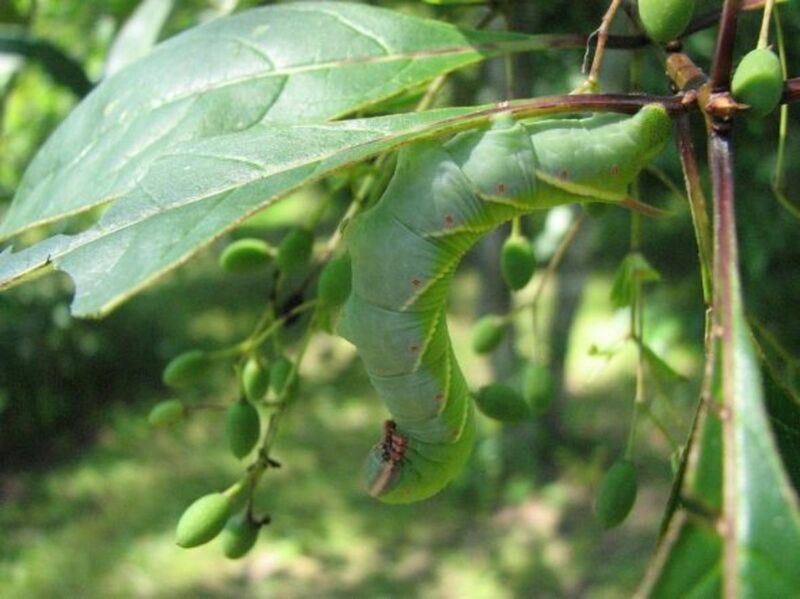 The large green caterpillars eat viburnum, hawthorn, honeysuckle, buckbrush, wild cherry and plum and a few other types of fruit trees. Adults hover and sip nectar at many different flowers, including honeysuckle, beebalm, phlox, lilac and blueberry and milkweed. One of the sure ways to tell a Hummingbird Moth from a Hummingbird is that the moth will often rest on the flower while it drinks. This Vaccinium is also called wild blueberry. This excellent guide is my new "go to" book for identifying adult moths. There are separate editions for the Southeastern and Northeastern part of the country. It is organized well so it is easy to use. The photographs are good and descriptions accurately detail each species. Before I bought this book I didn't realize how many moth species there were in my neck of the woods - amazing! The caterpillar of a rustic Sphinx moth feeding on a native fringe tree. 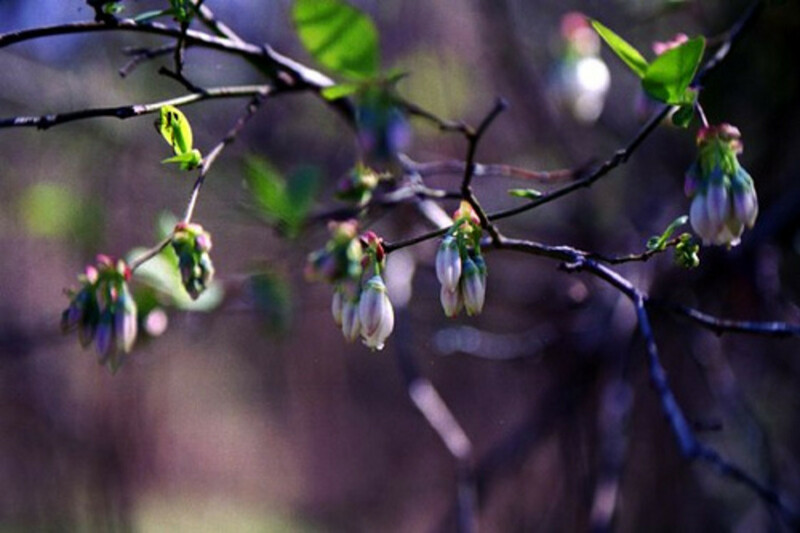 The frilly blooms appear in spring, and on female plants, are followed by olive-like fruit. There are many other types of Sphinx Moths which are active at night. The caterpillars of each can be identified by the specific host plants it uses to raise its young. For example, the Rustic Sphinx lays its eggs on only Fringe Trees and Jasmine. Clearwings have similar looking caterpillars, but lay their eggs on different plants. The photo above shows a very large Rustic Sphinx caterpillar dining on Fringe Tree leaves. You can see the green olive-like fruit of this female Fringe tree. Sphinx moths get their name because, when the larvae is disturbed, they elevate the front part of their body and assumes a Sphinx-like position. The larvae of many sphinx moths are known as hornworms because of the horn or spike that is attached to the last segment of their body. The tomato hormworm (Five-spotted Hawk Moth) and the tobacco hornworm (Carolina Sphinx Moth) are harmful to the crops they are named for. The name "Hawk moth" and Sphinx moth are both used, but hawk moths are actually another group in the family. 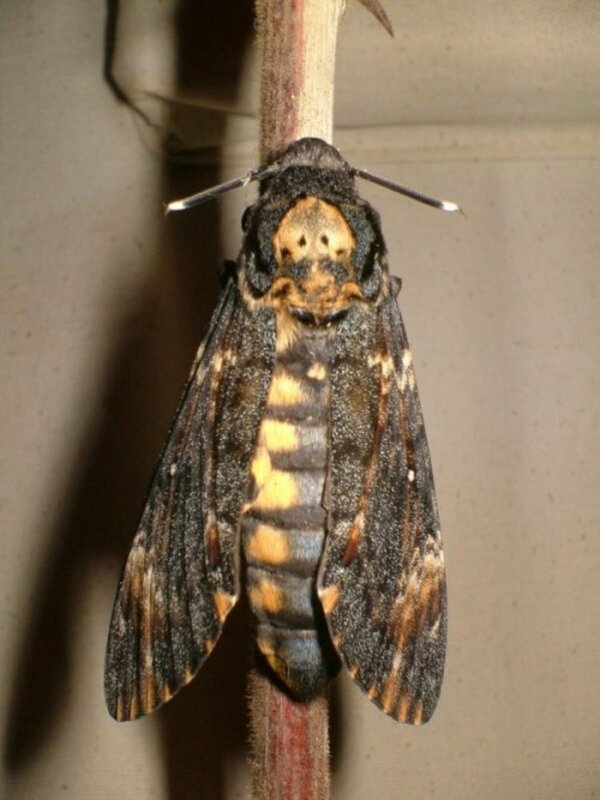 The Sphinx moth pictured below is a Pink Spotted Hawk Moth. Its larvae is called sweet potato hornworm because it feeds on sweet potato vines. 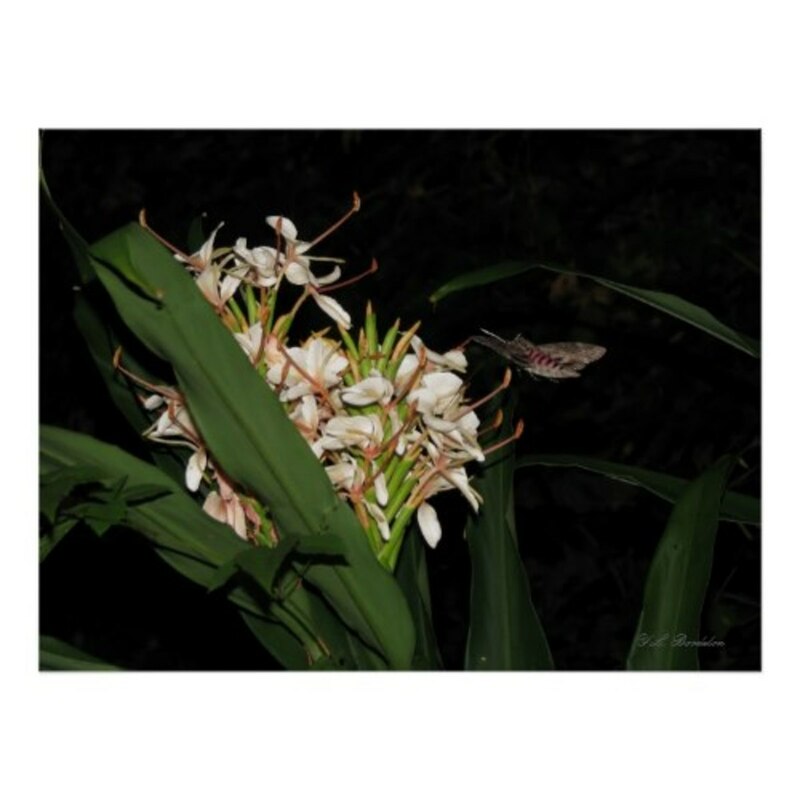 The flower that the adult moth is drinking nectar from is pink ginger. A pink spotted Hawk Moth is one of the many species of Sphinx moths that pollinate our gardens at night. This one is visiting peach colored ginger. How many times have you run across a caterpillar and wondered what the adult moth or butterfly looked like? This wonderful Princeton Field Guide will help you on your quest. It is well organized with a good index and fabulous detailed photographs. The descriptions cover identification keys, occurrence, common food plants and interesting remarks. If you have a pollinator garden, you'll want to add this book to your library. 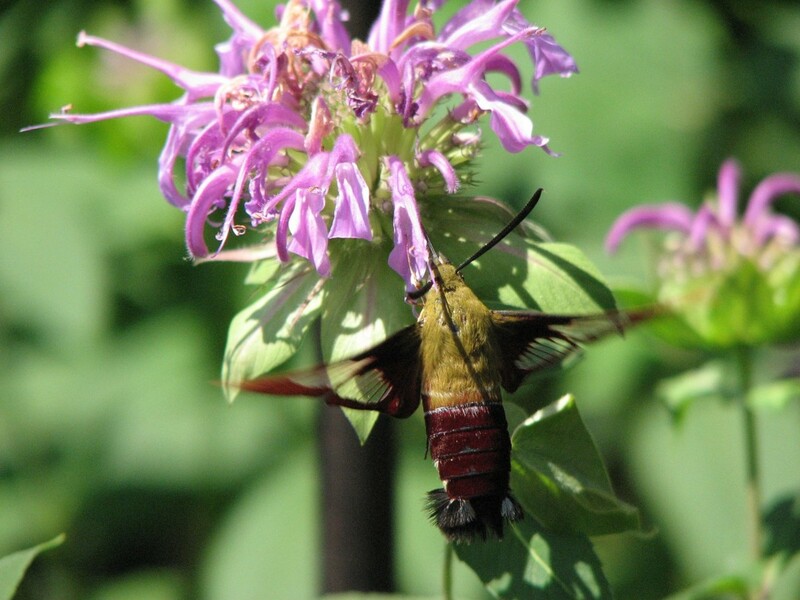 Have you ever seen a Hummingbird Clearwing Moth? Let's hear it for Moths! We have another species of hummingbird moth, not a clearwing. The clearwings are beautiful. Our hummingbird moth will fly in daytime; on two of the three occasions I got photographs, it was daytime. I love looking at moths and butterflies -- have been enjoying quite variety of species visiting my flowers this summer. Including plenty of hummingbird clearwing moths! Thanks for sharing, beautiful photos. :) Featured on my "Giant Silk Moths of North America" lens. hey great photos. This is a really net lens. So may people love butterflies but don't know anything about moths, even the day-flying ones. You have some really neat closeups, I wouldn't be able to do that even if I tried! I bet a 9 acre preserve is a lot of fun, albeit challenging, to run. Amazing lens. I really like the photography in the video. Thank you for publishing this. Your lens answered questions I've had for a few years now. Several summers ago, we had a "pet" hummingbird moth who fed on the petunias we kept in containers around our patio. He actually became a bit used to our presence, and we were able to take a lot of great photos of him. Now I know all the facts- thanks! 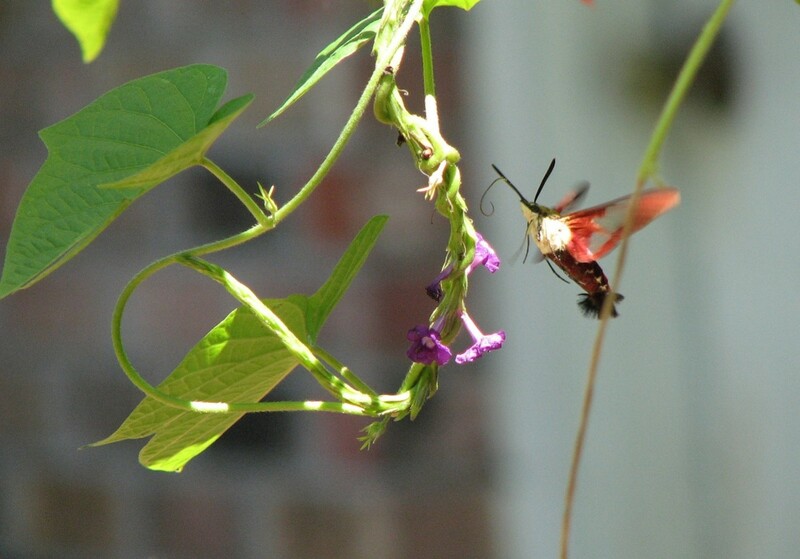 I have never hard of the Clearwing Hummingbird Moth. Those are amazing! Don't you just love the furry cuteness of moths? I had seen the Clearwing Hummingbird Moth before and had no idea what it was. Now I know! Thanks! They are beautiful and truly unique. @GlobalHobo: Gosh, thank you very much for the lovely comment. I'm glad that you enjoyed reading the lens and that you came away with a little more knowledge about the creatures in Louisiana. I'm new here at squidoo and have just been cruising around checking out various lenses. I have many, MANY more to look at, but yours is the first I've felt compelled to comment on. Yours is a well-put-together lens, pleasant to look at, very interesting to read. But what really grabbed me was that as I went down the page, I felt like I was learning as much about you as I was about moths. Thank you! Wow, their beautiful. I'm not sure why moths worry me when butterflies don't. Maybe it has something to do with the night or something. Great photos by the way. we just had the miller moth season here in New Mexico, thousands of them everywhere! I have a big fear of insects but very interesting. I have never of them but if I did see the i would probably run. Beautiful photos. We have them around here, too, and we just enjoy the heck out of them. Am glad you did this lens. Love to know this info. I did not know these existed...now I do. The next challenge is to get a long enough look to tell whether I'm seeing a bird or a moth. Thanks! @Ilonagarden: Thanks Ilona1, I'm glad you enjoyed it. This was so educational and fun, too. I loved the info and the beautiful illustrations. Wow, I learned a lot from this lens! Thanks! I always wondered what that was buzzing about on my flowers. Very interesting! We found a luna moth the other night, hanging on to a window screen under a porch light. What a beautiful moth! I've seen these but didn't know what they were called. Thanks! Fascinating to learn that these moths have more broods the further south they live. I wish we had this moth where I live. I have now realised, thanks to this lens that I have no night scented flowers in my garden. This I will change. Great lens! What interesting and beautiful moths! You photos are gorgeous. Nice lens, I liked reading it. I've seen snowberry clearwing moths and wondered what in the world they were. Now I know. Thank you! There are so many beautiful moths, but the hummingbird moths are my favorite. Beautiful photos! Good photos and info on this moth. I wonder if you wouldn't want the other moths on a separate page, perhaps. Blessed by a Squid Angel and will be featured on Best Insect Pages on Squidoo lens. @anonymous: I know of no moth that stings. Clearwing Hummingbird Moths are harmless. They drink nectar from flowers. They live in gardens and woodlands and act like other moths and butterflies. You can safely let the moth go without being harmed. i saw a clearwing himmingbird hawk moth but at first had no clue what it was so i searched the web, but on one site it said they can STING you. is that true? i have it in a jar now but im scareed it might sting me if i let it go! help! i caught this THING in a jar it looked like a moth and a bee mixed together, so i searched the web and this site and found out it was a clearwing hummingbird hawk moth. but on one site it said that these moths can STING i don't know if its true or not, but i have questions too, where does it live? and DOES it sting? because if i does im letting it go with armor gloves on so it does not retaliate and come back and sting me! What an enchanting little moth, it does look like a hummingbird though I've never seen either. You've shown with these moths that they really can be creatures of beauty. We just don't have these here in the Pacific Northwest. I sure wish we did. They look so beautiful! Gorgeous lens on a very special subject. I've actually seen them here in Canada, and didn't know they occurred as far South as they do...very interesting. Beautiful lens. Blessed and lensrolled to my butterfly lenses. The clearwing is gorgeous. I do not know why but the moths give me the creepy factor. After I saw that horn worm my skin started crawling. I need to get to know them better. Moths are not prevalent in Southern California. Very good lens. You did it again. We were very lucky to have Hummingbird moths in our Pennsylvania garden. They were so amazing. We would follow them around a watch their every move. What a great lens. We have a lot in common. I too photograph butterflies and moths. Every summer I have at least 3 hummingbird moths in my garden. They are my favorite! I love the butterflies. In the summer when my garden is in full bloom, there are tons of them in my backyard. I love it! This is a super lens ***** I'm emailing it to my friend who has worked at the Butterfly Museum in Denver - she'll enjoy it. Your lenses are so beautiful and the photos are amazing! Welcome to the Going Buggy group. The Creatures of the Woodlands came over to check out your lens and learned so much from it that they are sending you some virtual Three Bear's Porridge to warm you when you return from your Walk in the Woods.